Home » Company » Why Everyone is talking about Outsourcing Medical Billing? Why Everyone is talking about Outsourcing Medical Billing? You probably know about how most practices are now moving to outsourced medical billing. If you are still sitting on the fence about outsourcing your medical billing, here are some facts to help you make the decision. Compared to keeping your internal staff up-to-date on medical coding changes, modifiers and sub-sets, partnering with a professional medical billing company saves you more dollars as well as man hours. The time and money, thus saved, can be invested into improving your practice and patient care. Many practices may not have the budget to support full-time billing staff or may be spending too much time hiring and training new employees. If you continually need part-timers or temps, to stay on top of medical billing, outsourcing can come to your rescue. Outsourced medical billing services have large, trained in-house staff to carry out coding and billing for your practice. Even if someone calls in sick, a replacement is available right away. 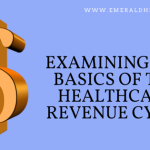 Many professional billing companies offer Revenue Cycle Management (RCM) to help boost your revenue. This leads to faster payments, less effort and less investment in on-going training. Medical billing companies have state-of-the-art technology and staff trained to maximize revenue with accurate coding and billing. Outsourcing medical billing companies ensure error-free coding and faster processing. This means fewer denials and fewer pending claims. A clean claim, coded accurately for maximum reimbursement and backed with support in the EHR can result in full payment in 7 to 14 days. If you partner with a professional medical billing company, they save you time and money spent preparing claims, and communicating with insurance carriers and third-party payers. This is possible since medical billing and coding companies only have one job – coding and billing. To learn more or to take advantage of the services offered by a reputed internal medicine billing service, call Emerald Health LLC at 855-650-9906 Today. Remember that you pay the billing company after you get paid, while you receive superior service at a fraction of the cost!